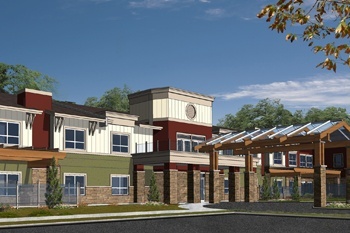 Offering rental suites for seniors in an assisted living environment with a variety of floor plans which include one bedroom and two bedroom suites with fridge, stove, window coverings and balcony. Lifestyle Options Riverbend has suites available now with MOVE-IN INCENTIVES! 138 rental suites for seniors in a supportive setting with a variety of floor plans which include one bedroom and two bedroom suites. 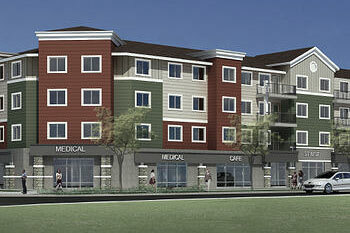 Lifestyle Options Whitemud has 2 bedroom suites available now! Contact the building for details. Lifestyle Options Schonsee is our newest building, purpose built for dementia care, that will offer care for SL4 and DSL4 residents. Opening June 2019. Chateau at Schonsee Square offers affordable rental suites for seniors. It is conveniently located in the Lake District of North East Edmonton close to parks, shopping and amenities.